Stan Holmes (to the right of carboard cuttout of Interior Secretary Ryan Zinke) said the Trump administration is prioritizing profits over protections on public lands. “There isn’t one square inch of Bears Ears that was removed from any federal protection. Not one square inch,” Zinke Said. Zinke said the land remains protected by other federal laws despite what critics say. He insists there is no rush to mine it or develop oil and gas now that the Trump administration has reduced monument status by two million acres. He was in Salt Lake City to announce plans to make it easier for wildlife to migrate in the spring and fall. Environmental groups protested Zinke’s appearance outside the Salt Palace Convention Center downtown. One was Stan Holmes, who is angry about Bears Ears and the Grand Staircase Escalante. Conservationists say Zinke’s wildlife proposal fails to reverse damage he has already done by scrapping master leasing plans for energy development and dismantling the national sage-grouse strategy. 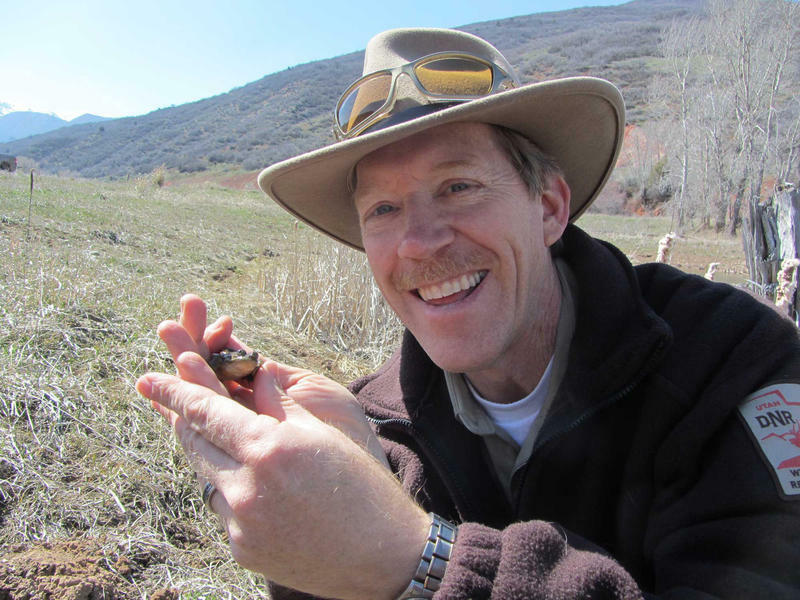 Utah’s top wildlife official is headed to a new job in Washington with the Trump administration.